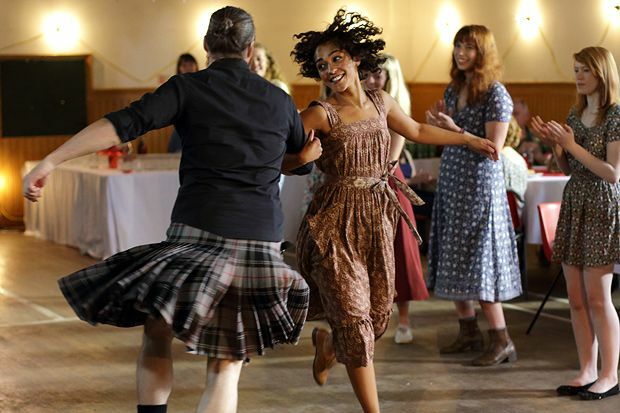 Having enjoyed its world premiere at the Edinburgh International Film Festival last June, director Scott Graham’s Iona finally goes on UK-wide release on Fri 25 Mar, and we have an exlusive taster for you below. Like his award-winning debut, Shell, Graham's second feature film is a family drama set in a small Scottish community – this time on the island of Iona, the birthplace and namesake of a young woman (Ruth Negga, Marvel’s Agents of SHIELD) who returns with her teenage son, Bull (Ben Gallagher), fleeing a violent crime in Glasgow. Their arrival raises tension with the family Iona left behind, as the script weaves a deeply affecting story of buried secrets and old wounds set in this stunning and remote landscape. Joining Negga is an impressive supporting cast which includes Douglas Henshall of Outlander and Shetland (at some point, every Scottish island will have its own film or TV series), Michelle Duncan (Atonement) and Jim Sturgeon (’71, Katie Morag). This clip brought to you by The List offers just a taste of the simmering family tension than hangs over Iona and its wonderfully loaded performances. Iona is released in cinemas Fri 25 Mar. After a sudden crime, Iona (Negga) and her son (Gallagher) flee Glasgow and seek shelter on the island of her birth, which shares her name. Negga is captivating, with an excellent supporting cast, but the story begins weakly and culminates in melodrama. Messy but promising.